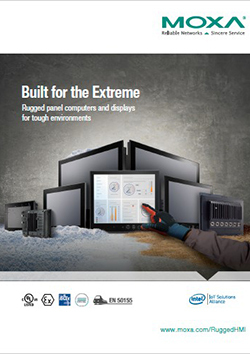 Moxa’s industrial panel computers and displays are designed in strict accordance with globally accepted standards for explosion protection in hazardous locations. Approved certifications include UL/cUL Class I Division 2, ATEX Zone 2, IECEx Zone 2, and marine standards such as DNV GL, ABS, LR, NK, and CCS. Download the solution brochure to learn more.